Combine first seven ingredients in a small bowl to create the bruschetta. Season with salt and black pepper. Let marinate at least 15 minute or up to 1 hour. Arrange pork chops in baking dish. 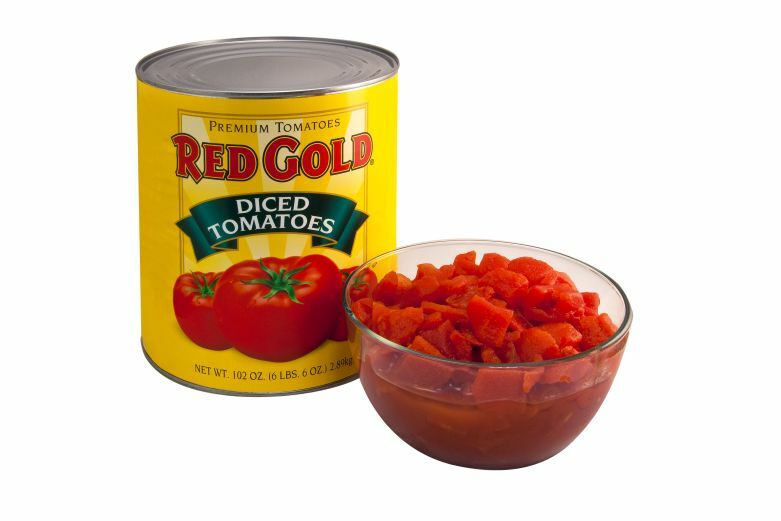 Drain liquid from bruschetta and reserve. Then spoon liquid over pork chops. Let marinate at least 15 minutes turning occasionally. Preheat barbecue grill or grill pan over medium heat. Grill pork chops until cooked through, about 6 minutes per side. 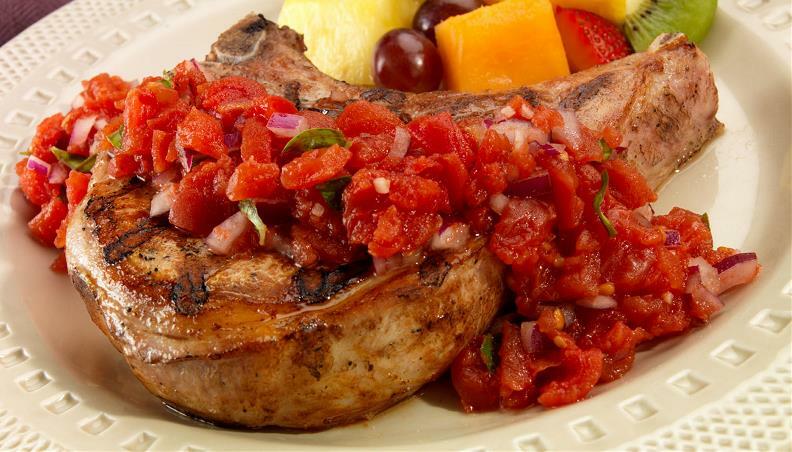 Transfer pork chops to plates and spoon bruschetta over.